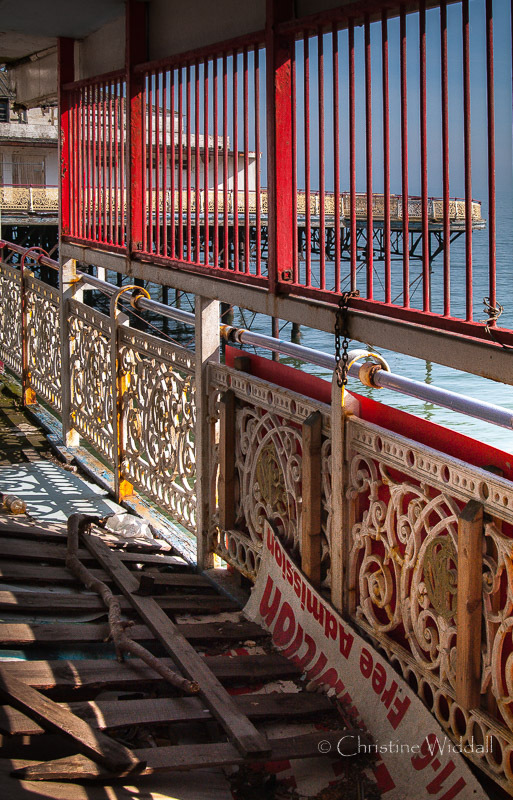 In March 2018, work began to demolish the once proud Victoria Pier in Colwyn Bay, North Wales, which had closed in 2008. 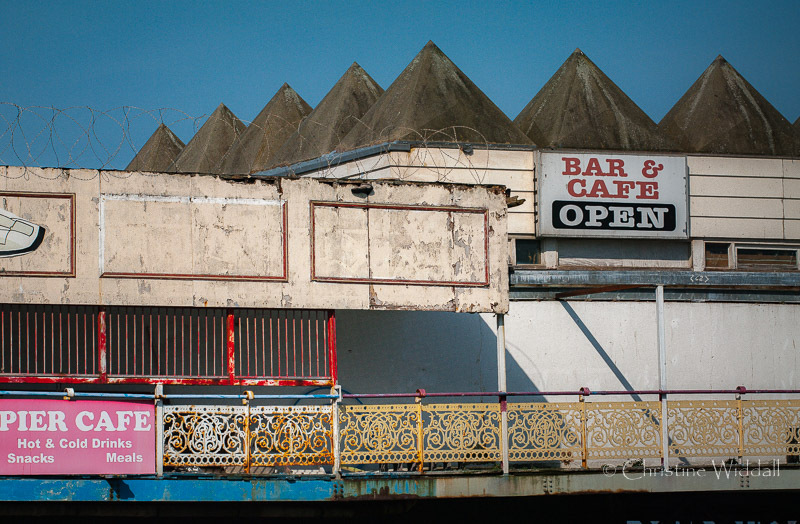 To many, it had been an eyesore for years, a sad reminder of better days, when Colwyn Bay was a popular tourist attraction and one of the places where artists and wealthy industrialists moved to escape the squalor and smokey atmosphere of towns in the industrial north west of England. 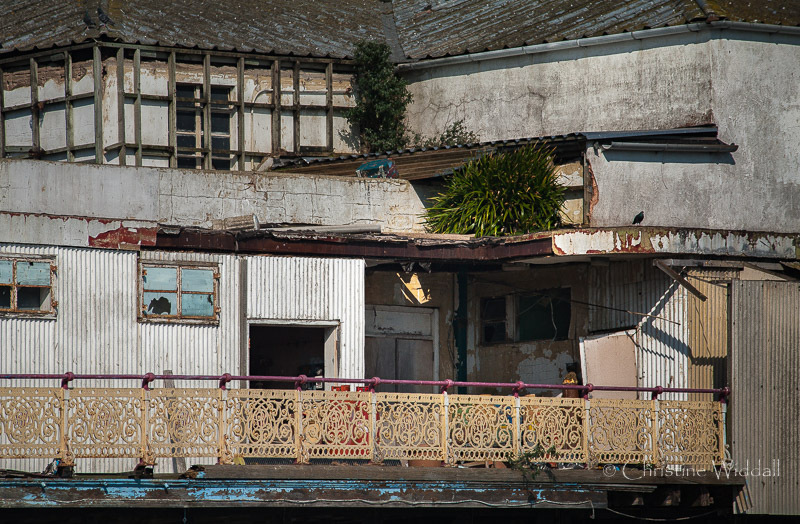 However, many others favoured restoration. 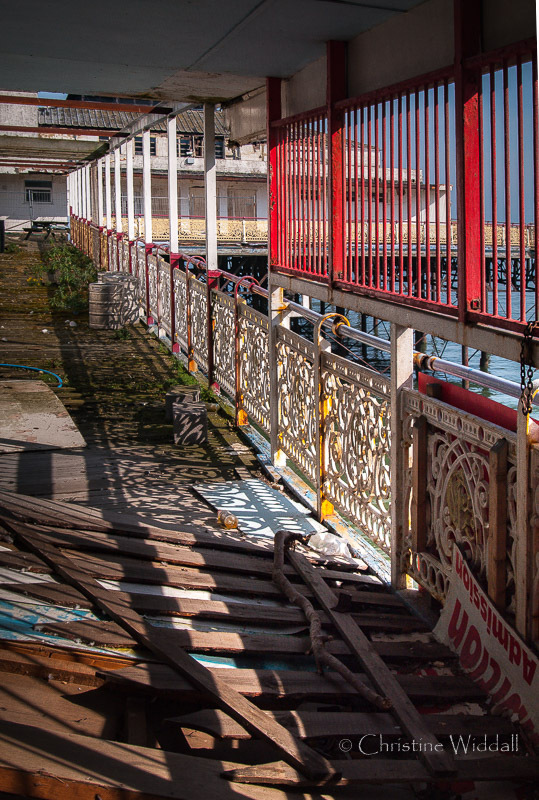 In 2015, a businessman failed in a high court bid to regain ownership of the Victoria Pier, following a lengthy legal dispute surrounding the financial viability of restoration compared to the cost of demolition. 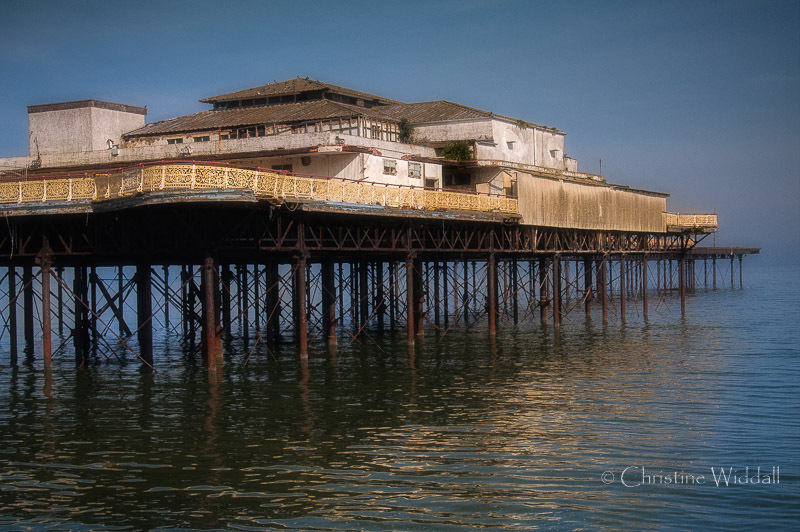 In 2017, the pier partly collapsed into the sea during Storm Doris, at last signifying its demise. 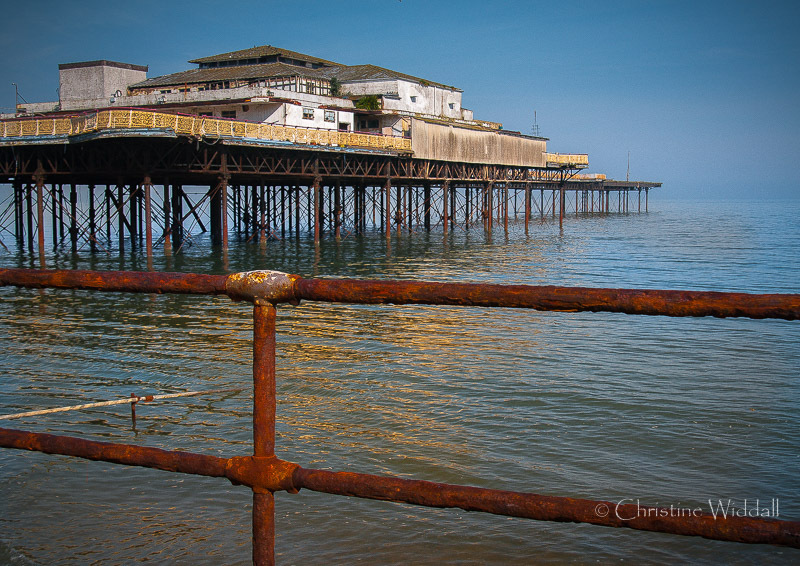 Two days ago (30th May 2018), the final section of the pier was demolished. 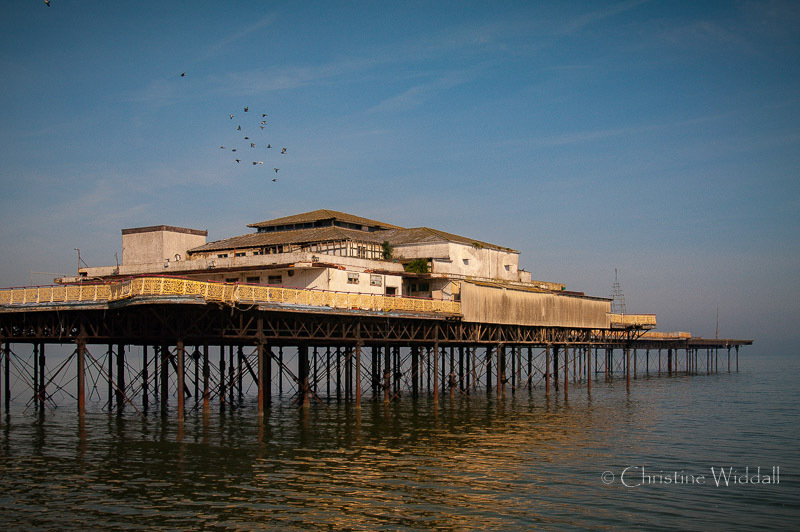 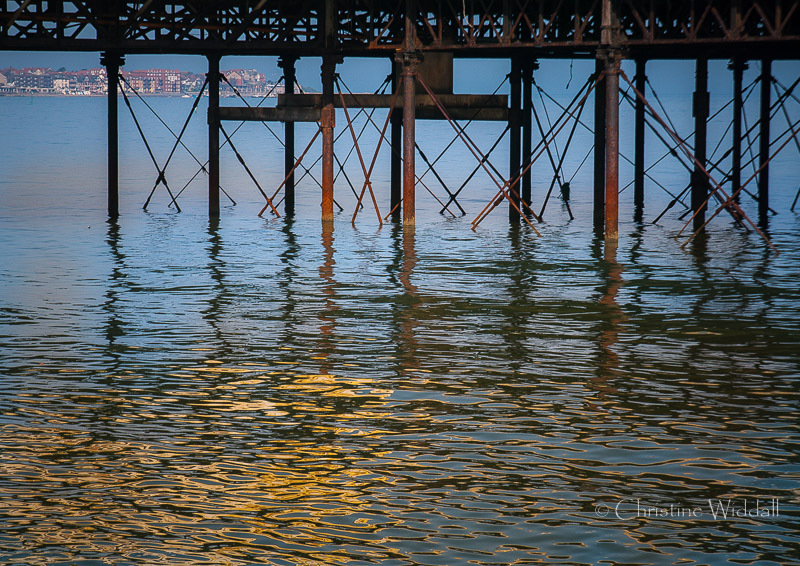 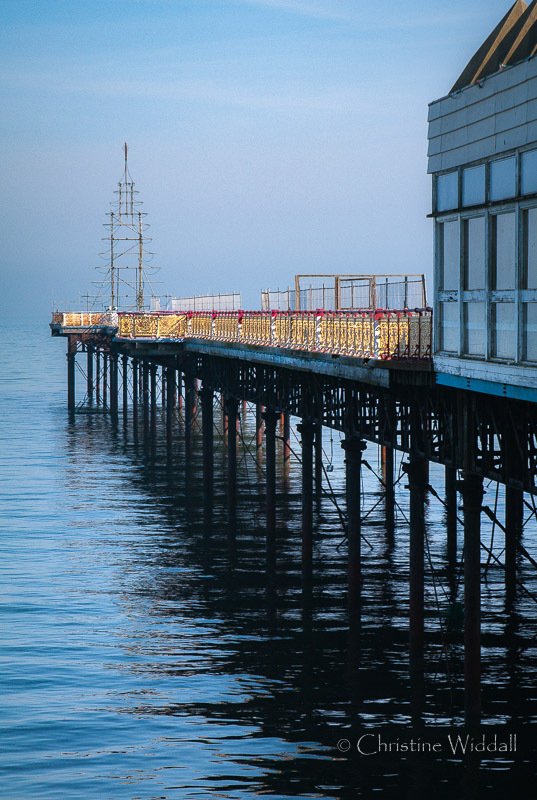 The Colwyn Bay Trust are now raising money to revive the pier. 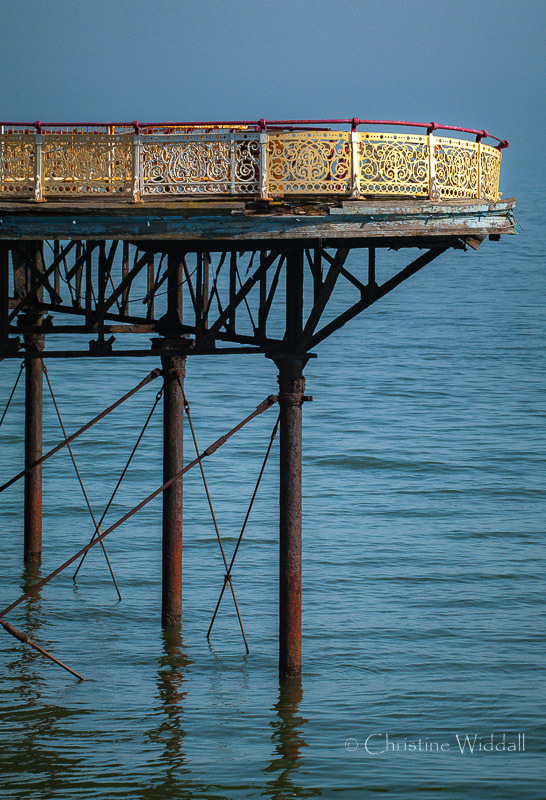 In March of 2012, I had been engaged by the North Wales Photographic Federation for a judging and seminar day at Llandudno. 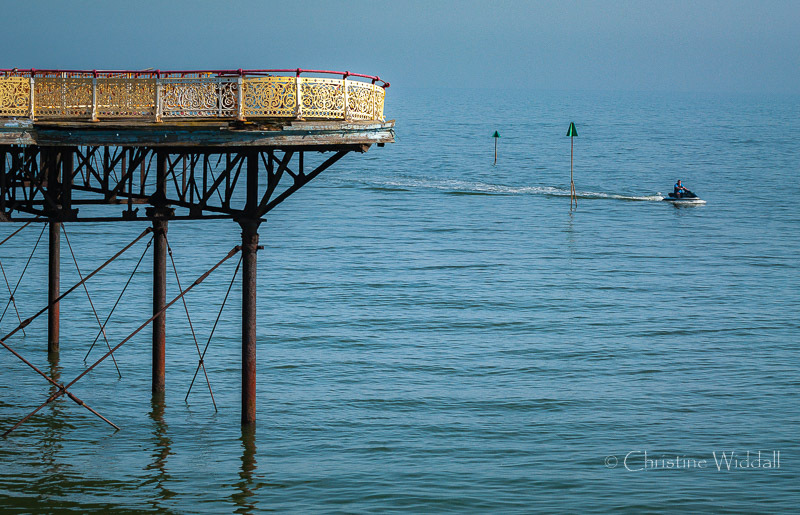 On the morning of the second day, I had an hour or two to spare and drove along the coast to look at the old pier at Colwyn. 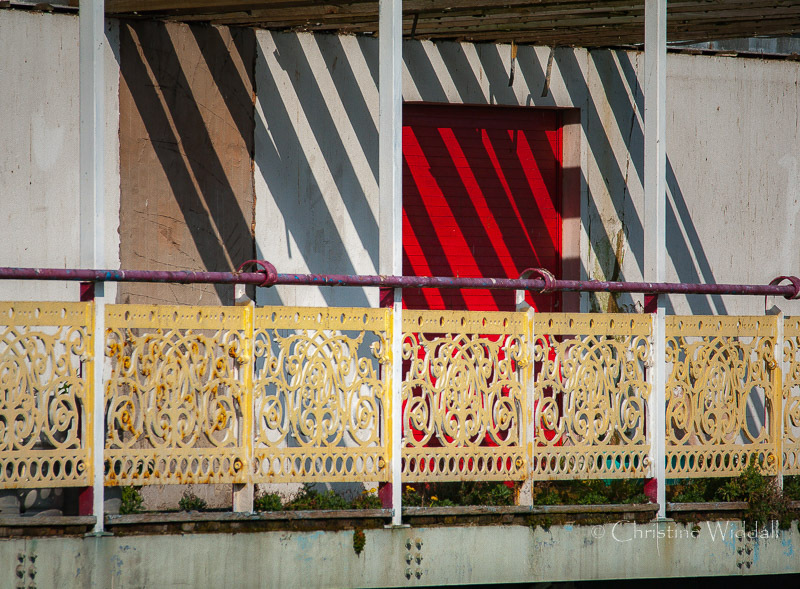 As I stood there, camera in hand, a biker stopped and asked me why I was photographing such an eyesore, to which I replied “beauty is in the eye of the beholder”, a term which came back to remind me last evening at my local photographic society. 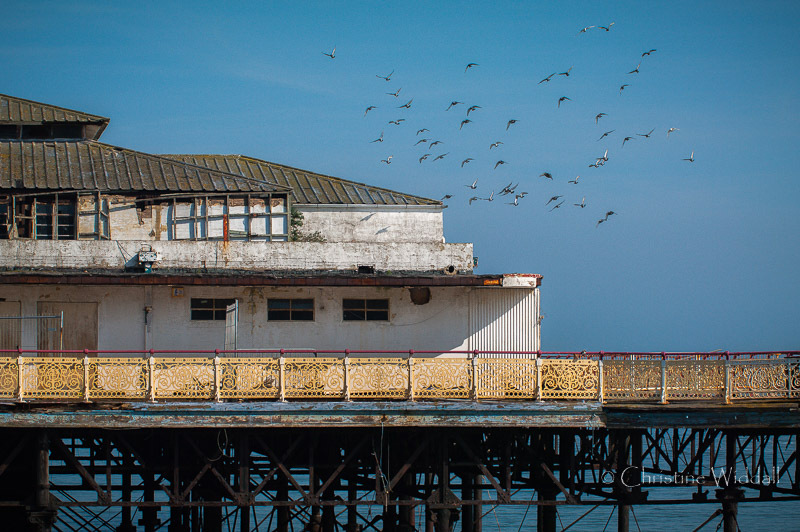 To him, the pier was an ugly reminder of the demise of a proud seaside town – to me it was romantic and beautiful. 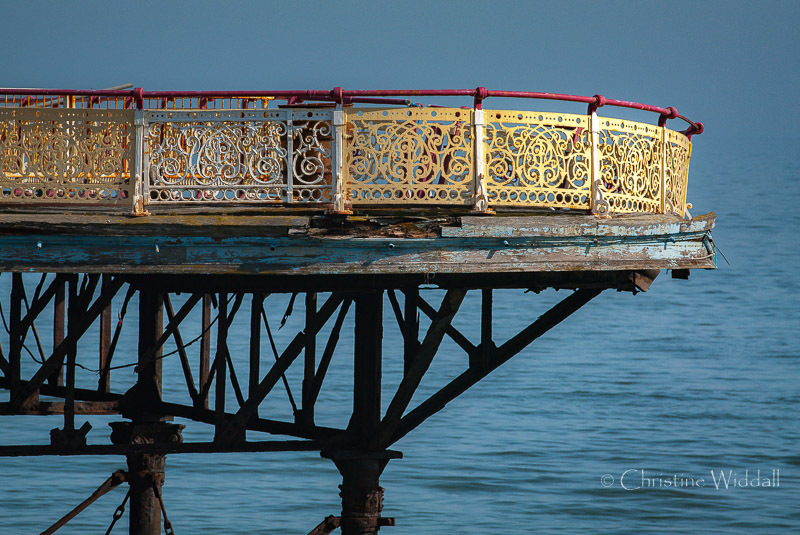 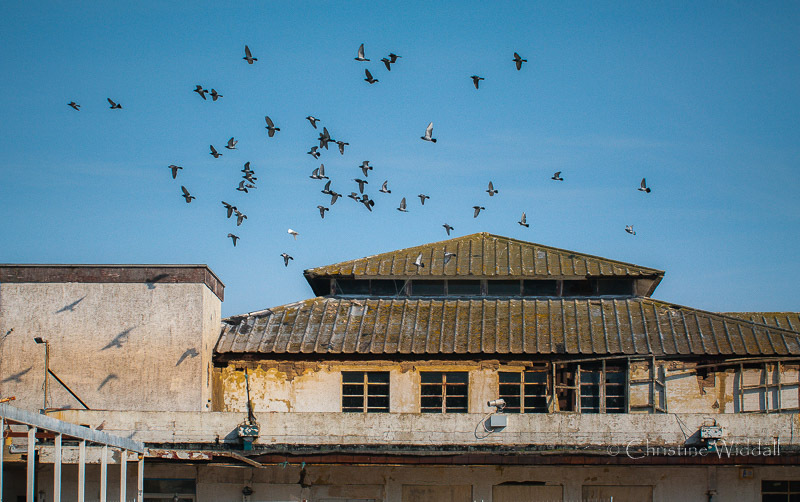 Over the next half hour, I explored what I could of the structure and I hope that these photographs will evoke memories of its beauty in decay.